The rotary trimmer can be used in many areas of both commercial and photographic markets. 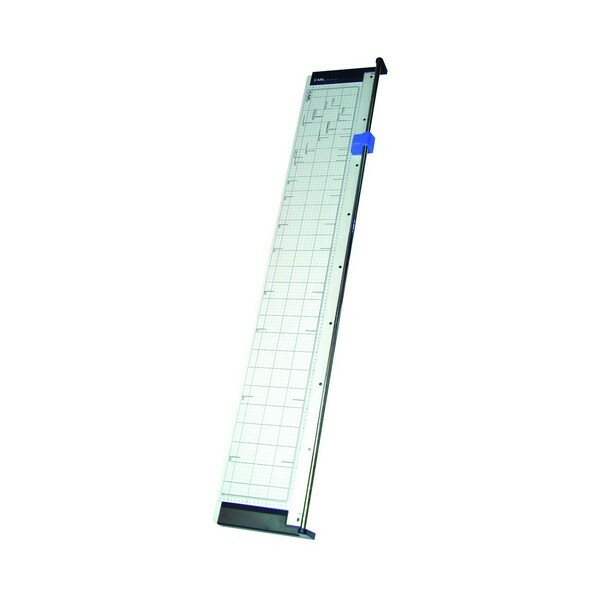 This machine has a cutting capacity of 3 sheets of 80gsm paper and has a precision crafted circular blade that cuts against a ground steel edge. The cutting length of the machine is 1300mm and it only does a straight cut. The paper is clamped into place automatically as the cutting proceeds. The clear plastic holder clamp allows for easy adjustment of the paper before cutting. The cutting table is ruled in both paper sizes and metric measurements.